This is the view of New York City from "The Top of the World". 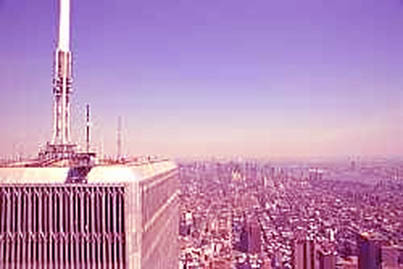 WTC One - seems a stone's throw away. Philippe Petit tightroped his way between the two towers. Doesn't seem so close when you think about doing that! This was taken before the attack of the Terrorists on Sept 11th.